Welcome to the Town of Wesson, MS! 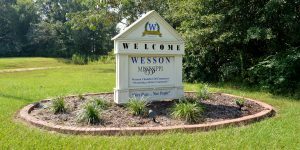 Welcome to the new official website of Wesson, Mississippi! A community with rich history and a bright future.